Photogenic Tour by City Loop Bus "Akai Kutsu"
What do you ask for when you travel using your precious time and money? Beautiful memories? Exciting landscapes? A delicious gourmet experience? Something out of the ordinary? Instagram worthy sights? Or good value for your money? Of course, we'd like to enjoy all these things during our trips, don't we? 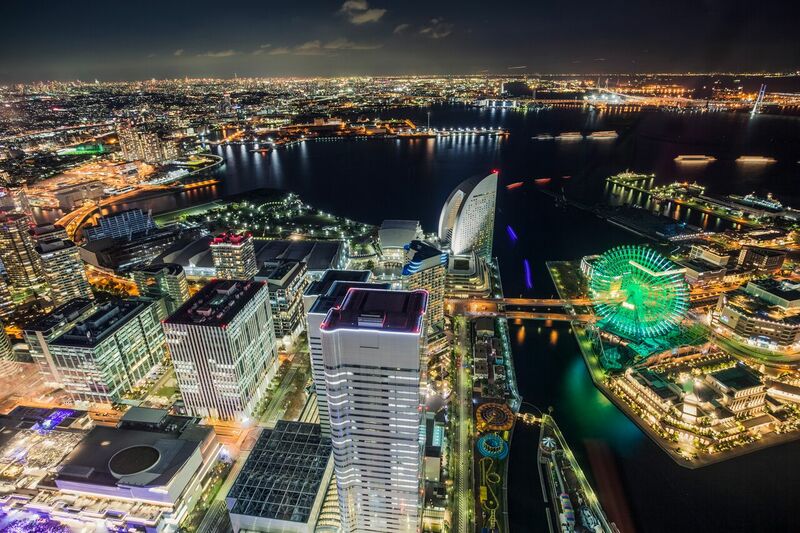 To answer your needs, we present you a one-day itinerary using "Akai Kutsu", a sightseeing bus that runs through the main tourist spots of the Minato Mirai area and the Yokohama Bay area. Here we take you on an ‘eager’ one-day tour with the Yokohama Goodwill Ambassadors, Naomi Ebihara and Rie Sakakibara as our guides. Our journey starts in the Tourist Information Center located in JR Sakuragicho Station. Here, besides being able to obtain several maps and brochures that will become our allies during our tour, they also provide temporary luggage storage and express delivery service, services very convenient to enjoy the trip through Yokohama without heavy luggage. But the purpose here of our guides, who know the city perfectly well, is not to receive tourist information but to get the most important item for our trip, the one-day ticket "Minato Burari ticket". With this ticket you can freely get on and off the Municipal buses and the Municipal Subway (Blue Line) from the Yokohama station to the Bay area. It also offers several benefits, such as discounts on entrance fees, gifts, etc., for which would be a loss not to take an advantage of. When traveling to Yokohama, always remember to get the "Minato Burari ticket" before anything else. <Opening Hours> 9:00a.m. - 6:00p.m. When getting off at Shin-kencho-mae bus stop, you can see in front of you the three towers that most represent the city of Yokohama aligned. The King's Tower (Kanagawa Prefectural Government), the Queen's Tower (Yokohama Custom House) and the Jack's Tower (Yokohama Port Opening Memorial Hall). First let’s go to the Yokohama Port Opening Memorial Hall, better known as "Jack", an important cultural asset of Japan built in 1917. The red brick tower with the big clock is popular for its impressive exterior being a great photo spot, but many do not know about its picturesque interior decoration. The design style of stairs, window frames, stained glass windows, among others will make you feel that you are back a hundred years in the Taisho period. Moreover, all these can be enjoyed for free. Our guides Naomi and Rie wanted to preserve this moment by taking a photo in front of the beautiful stained glass windows. 3: Music restaurant "Alte Liebe"
After leaving the Yokohama Port Opening Memorial Hall, our guides walk towards the Nihon Odori Avenue, well known for being the filming location for many movies, dramas, and commercials. While enjoying the walk on this broad tree-lined avenue with the sense of European streetscape, they head towards the Music Restaurant "Alte Liebe" for lunch. 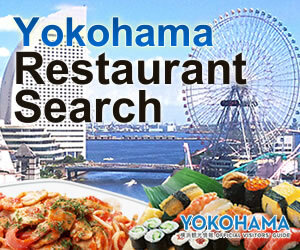 This restaurant opened its doors in 1965, but was closed for some time due to renovations, reopening in 2000 on the first floor of historic-building ‘Former Yokohama Commerce and Industry Promotion Center’, also the setting of several films and TV series. It is one of the best restaurants in Yokohama, where you can enjoy both authentic French cuisine as well as the buildings’ classical architecture style. Our guides ordered the special autumn course meal. As the main dish, Rie chose the "Roasted duck steak served with seasonal vegetables and fruits" and Naomi the "Veal cheek goulash with celery root Spätzle". There is another reason for the fame of the "Alte Liebe". It is the live music that you can enjoy performed by the top musicians with vast experience playing on luxury cruises. Imagine yourself surrounded by the interior such as that of an European luxury restaurant, accompanied by live music, enjoying the exquisite dishes. You can enjoy a lunch out of the ordinary, feeling like a movie star. <1 minute-walk from the Minatonomieruoka-koen-mae bus stop. Naomi and Rie take the "Akai Kutsu" bus again, and they move on to the Harbor View Park (Minatonomieruoka-koen). Thanks to the bus, the steep road on the way to the park is easy to climb. After passing the flower gardens in the park, an impressive building with an arched roof and the red-brick walls appears. It’s the "Osaragi Jiro Memorial Museum". This is a commemorative museum that shows several materials of the well-known writer born in Yokohama, Jiro Osaragi who wrote novels like "Muteki" (Misty Flute) and "Kurama Tengu" among others. Here, not only his literary works but also his collections related to cats are showcased. Jiro Osaragi is widely known as a great cat lover, living in total with more than 500 cats during his whole life. Turning this museum into a sacred place for all cat enthusiasts as well. From the museum entrance you’re welcomed by the sculpture of a cat. In this museum, you can take advantage of one of the benefits of having the Minato Burari Ticket. The entrance fee for adults gets discounted from 200 yen to 150 yen. Each season, more than 50 of Jiro Osaragi’s collections related to cats are showcased so you’ll be able to follow both his literary talent and his love for cats. 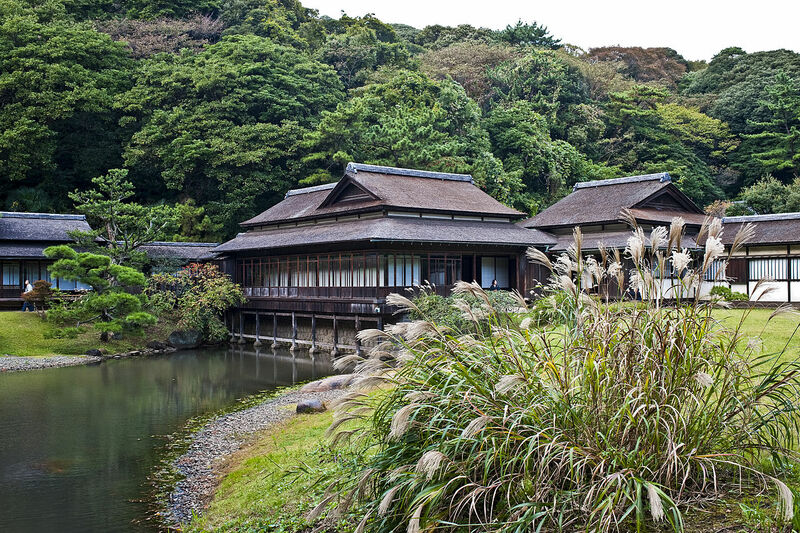 We finish our visit to the Osaragi Jiro Memorial Museum, and head to the tea room "Muteki" which is located in the building next door to the Museum. The interior is decorated by several cat-themed objects related to Jiro Osaragi, but you can also see many of his valuable possessions. Here, our guides order the tea and the original "Muteki" cheesecake (927 yen). The cheesecake is based on the original recipe of the very Jiro Osaragi himself, and it’s only served here. They use two kinds of cheese, a rich cheese cream and a refreshing-flavored sour cream, which makes this cheesecake delicious until the last bite. It's about time the sun sets, our guides head to the Osanbashi International Passenger Terminal to enjoy the evening landscape and night view of the port. Taking the “Akai Kutsu” bus is much more convenient since the nearest “Akai Kutsu” bus stop is right in front of the Osanbashi Terminal entrance. The Osanbashi Terminal is one of the most popular places in Yokohama since it has a beautiful view of the Minato Mirai area, Yamashita Park and the Bay Bridge. Its wooden deck called as "the Whale's Back" is also a spot worth sharing on Instagram. This is where our journey ends but before we want to have some drinks and relax after a great long day. How about having a refreshing beer on the terrace of the "OCEAN FLOAT CAFÉ" on a clear day? For those who want something more special, we recommend you going to "RESTAURANT & BAR subzero" from where you'll enjoy an extraordinary night view of the port. You will undoubtedly get hundreds of "likes" if you post on SNS a photo of their colorful cocktails with the night view in the back under the mystical blue light of its interior. Be careful however, the last bus of "Akai Kutsu" heading back to Sakuragicho Station leaves at 7:05 p.m. on weekdays and at 8:14 p.m. on weekends and holidays. 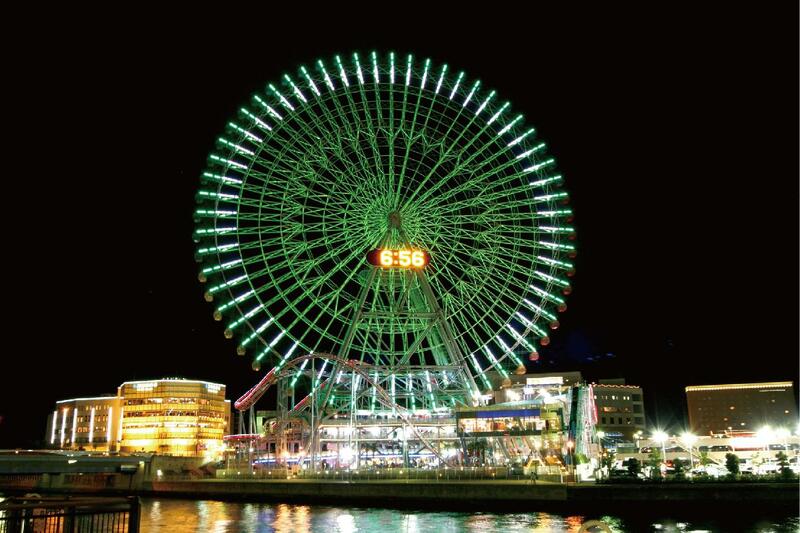 Make the most of your trip in Yokohama using the "Minato Burari Ticket"! Sightseeing City Loop Bus "Akai Kutsu"
"Akai Kutsu" is a bus that runs through the Yokohama Bay area from Sakuragicho Station and offers you 2 different routes. The buses of Route C run through the "good old Yokohama", among buildings of architectural styles typical of the post-Meiji period and the port. And those of Route M, run through the "new Yokohama", that is, the Minato Mirai area, adorned with modern architecture and urban designs. For a nice sightseeing-trip in Yokohama, use the convenient and cheap “Akai Kutsu” bus.